Mix sweetness and style, add a dash of adorable and serve baby this unique Baby Chef layette with a side of love! Simply delicious! 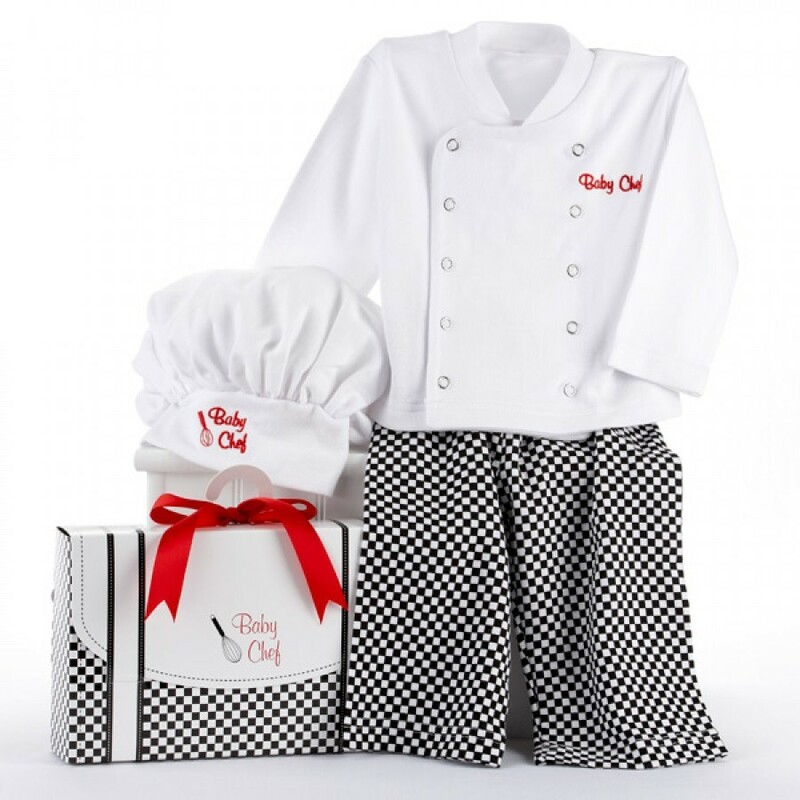 This 100% cotton set by Baby Aspen includes a white chef's hat; white chef's coat with secure snap closure; black-and-white checkered pants; and gift box. 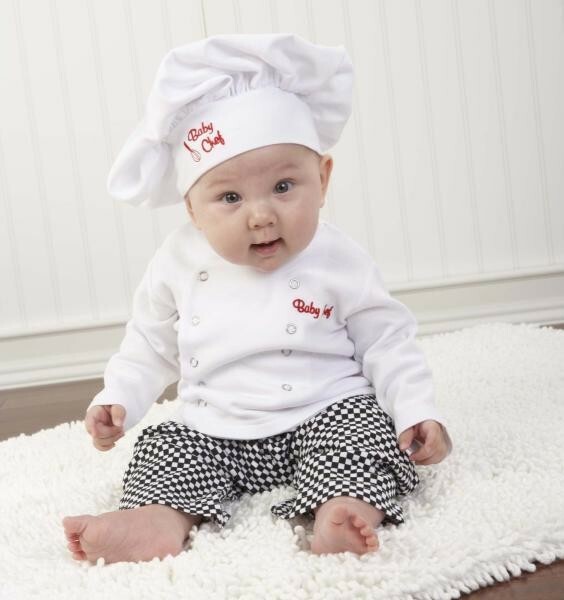 A whisk is embroidered on the chef hat and the words "Baby Chef" are embroidered on the coat. Comes in size 0-6 months.